When the jet spray won’t stop or the drain chokes, it creates a mess in your house as well as in your mind! Nowadays everybody looks up the Internet when nothing is working out. What if they just have to open the app and book an appointment with a plumber at the ease of their fingertips? Whether you’re a Plumbing Service Business or an independent plumber- having a mobile app for plumbers is certainly going to help. Not only that, what if the customer gets a booking confirmation right after they reserved a date and time suitable to them and even get the issue resolved as planned? Yes, that will make the customer come back to you every time there is any plumbing issue. You get a loyal customer! App for plumbers can make this possible for an individual or a plumbing enterprise. Why App for Plumbers is needed ? At LetsNurture, we believe that anything is possible. We come up with brilliant apps and designs for people who have dreamed of having an app of their business. If you want to increase your business manifold, get app for plumbers and see how you flourish! What app for plumbers will have? 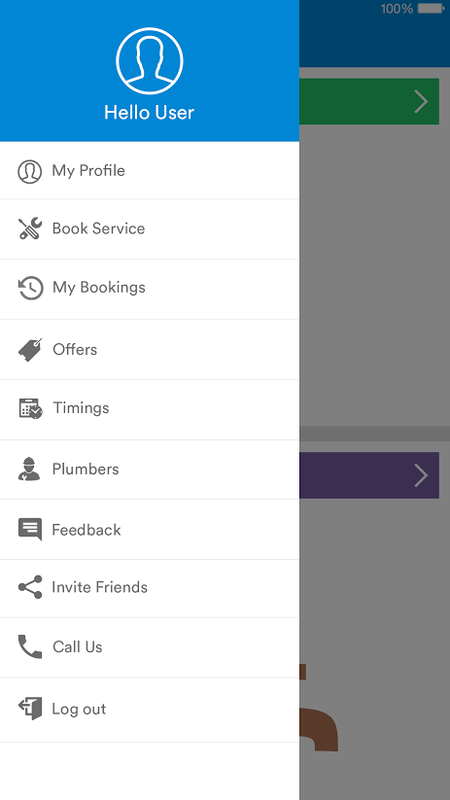 Through app for plumbers, users can create a profile and add all the relevant information where they can check all their current and previous bookings. The problems could be submitted in detail along with the time when the user expects the plumber. What else your Plumber app offers? Tell us the specifications and we get it made for you! We have developed numerous Android and iOS apps for number of clients. If you have the requirements ready, contact us and get your Plumber App now. Contact us for app for plumbers development.